BEARD! Has Gone To Print! It’s been too long since we last spoke but I’ve got good news. We recently received the proof of BEARD! The Card Game. We were quite pleased with the results, made a few changes and sent the files back to the printer. Some digital money exchanged hands and I’ve been told the first shipment of BEARD! Decks should get sent out to us in about 7 Days. As soon as we get the cards they’ll get wrapped in a custom banner by hand and dropped in the mail as soon as we can humanly do so. That means there’s a chance that BEARD! will arrive by Christmas! We order our decks 50 at a time, and I have not yet taken 50 Pre-Orders. If you want to make sure you get your copy of BEARD! in that first run then the time to order is now! I took a few pictures of the proof deck with my phone. Sorry for the quality but it will give you an idea what things will look like. As a reminder, we are using premium card stock. Click the image to make larger. 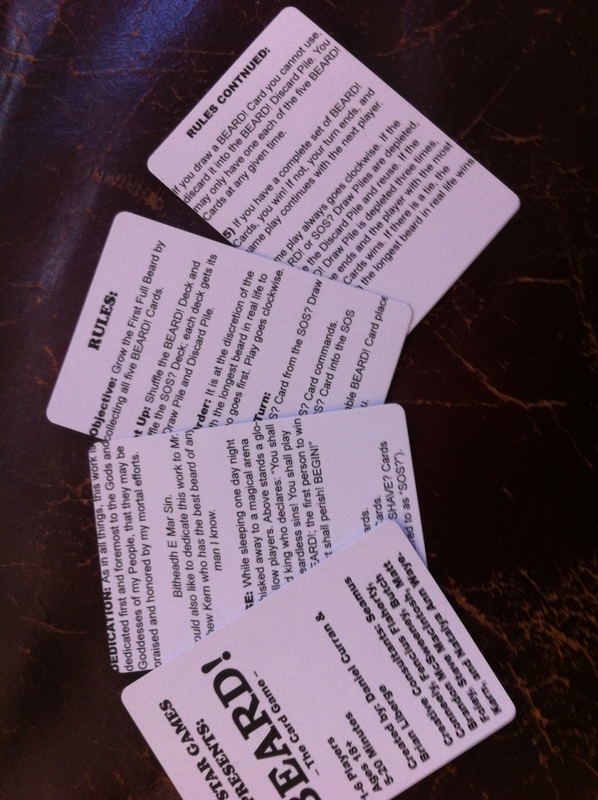 Rules Cards. One of the changes we made after the proof was to fix these margins. It’s my (Creative Director and Owner Brian Liberge) birthday! Well technically my birthday has been delayed until GenCon 2014 but we’re celebrating anyway! Would you like a free game? Great! Have Space High School Apocalypse! Full Concept: You live in the nearly fully automated satellite facility Space High School. Here there are no adults, and the super computer AI known as The Hall Monitor keeps things running day to day. Even in the future, your social ­­­standing is the most important thing in high school. Everyone is plugged into SpaceBook, the future’s preferred social network. SpaceBook taps into The Hall Monitor’s statistics and security feeds to keep a live public score of every student’s social status. Recently you’ve stopped getting news from the adults on the p­lanet below, and The Hall Monitor is beginning to make mistakes. You may die up here, but if that happens you’re going to make sure you rule the school first. 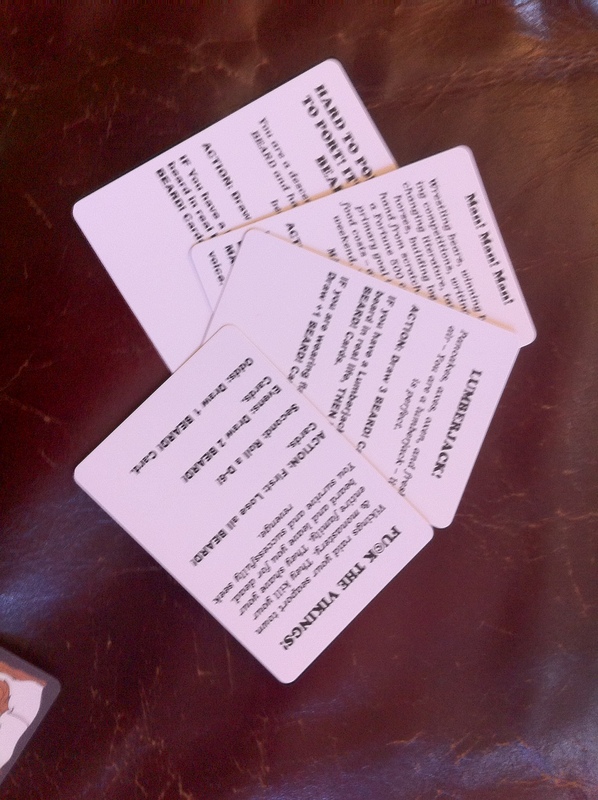 Mechanics: The game breaks down your spheres of influence into 4 areas, each represented by a suit. Through the game you draw new cards, try to increase your ranks, and attack the ranks of others. It’s all about being the coolest before the world ends! Why DriveThroughCards? I know it would have been easier to just put a download link here but DriveThroughCards lets me track download numbers, and push out new versions of the game via email. Today I’m not announcing a new product or pushing an existing one. No today I have a bit of a personal announcement. Next week, on the Wednesday the 20th, I will turn 30. I don’t want you to send me a present, and I’m not asking you to buy my stuff on that day (you should buy my stuff today though. They make people happy). What I want, more than anything, is to have as many people as possible come to my birthday party. You’re invited. Everyone who loves fun is invited. No need to RSVP. Its going to take place in Indianapolis, Indiana from August 13th to August 17th 2014. Why the long wait? Well that’s because for my 30th Birthday, we’ve decided that GenCon is my birthday party. GenCon, if you didn’t know it already, is the greatest tabletop gaming experience ever. There is no place or time that is filled with more joy and acceptance. It is better than PAXEast. It is better than Disney World. I’m biased mind you, and if you’re reading this, so are you. I don’t even know how to answer this question. There’s this feeling about GenCon that fills your body like the best parts of Christmas. Everyone is there for the same reason. Everyone shares your passion. Everyone wants to game and make gaming awesome. If you’ve been to GenCon please leave a comment with a favorite memory or activity at GenCon. I’ll consider it an early birthday present. We at Beer Star Games really wanted to take a train from Boston to Indianapolis, going through either Chicago or Washington DC. I really need to get GenCon on Wednesday by 5 PM. So far I haven’t seen any trains that allow me to do that without leaving on Monday (instead of Tuesday). We have hopes that Amtrak will add new trains in the coming months. Once we know and have picked a train we’ll make sure you all know. If we all are on the same train we can play games all the way to GenCon! Isn’t that kind of a long time away? Badge Pre-Registration starts on January 26th. You have been given super notice. If you don’t come, I’ll assume you’re pregnant, a terrorist or you don’t like me. You should come even if you don’t like me. I understand that taking a trip like this can be expensive, but GenCon is worth it. 2014 is also the 40th Anniversary of D&D and will probably be the release of the next edition, so it’s extra special. I hope to see you for my Birthday. Which is not next week, but in August 2014. Don’t forget to leave a comment so we can all get super excited. During our Kickstarter we offered the print and play version of the game for free to every backer. We want to that opportunity to everyone now so you can take a look at the text of the game in a very layout simple word document. Here they are below. 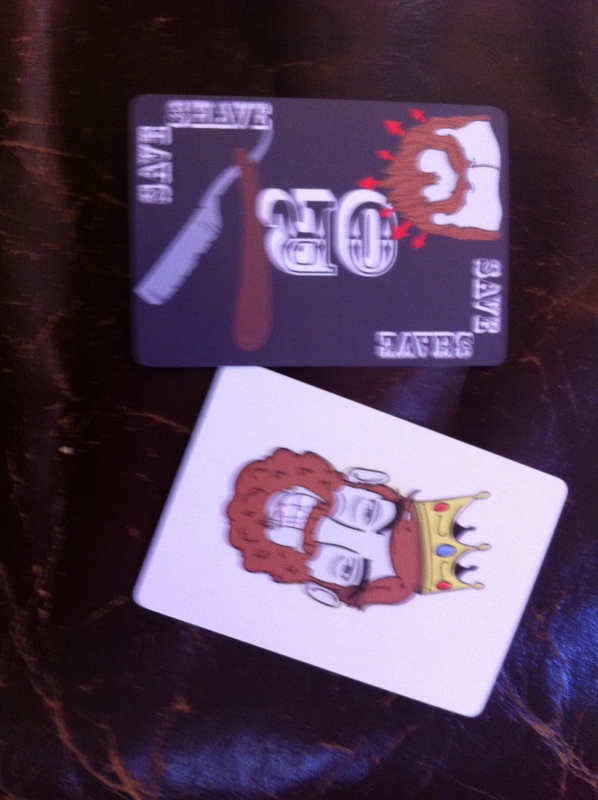 The Save or Shave Card plus Rules. The pre-order sale of BEARD! and Scentia, Besieged From Within and Without continues until November 15th. On that day we will release Scentia to the world and the price of BEARD! goes from a crazy low $10 to a very reasonable $14. Order yours today in our Store! The Beer Star Games Shop is now Open! Follow the link for t-shirts! 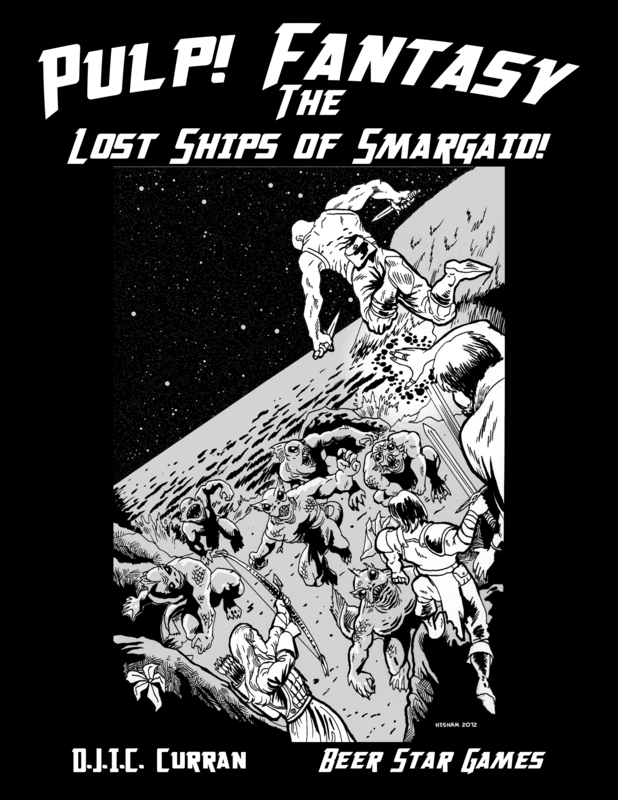 Get the Preview PDF of The Lost Ships of Smargaid! 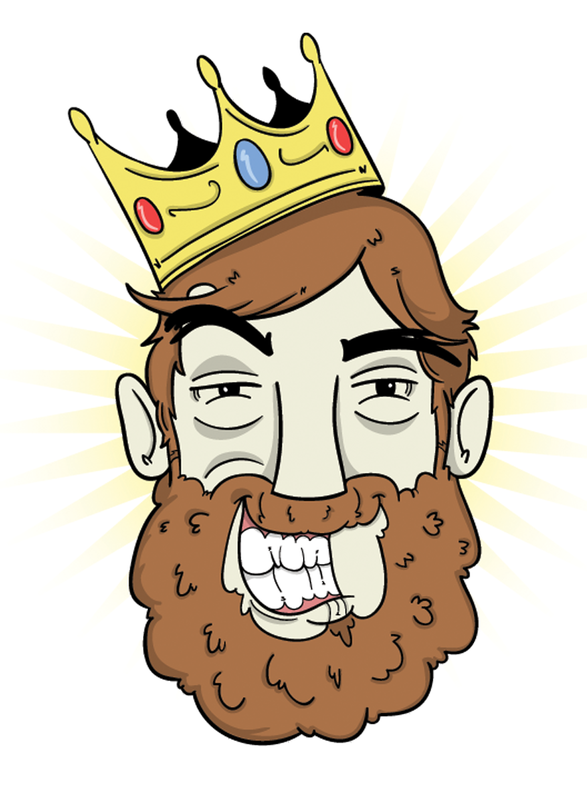 Thanks to the generous efforts of Kickstarter backers we are now past 2/3rds of the way to our goal on BEARD! with 31 hours to go. We’ve just sent out the Preview PDF of future Pulp! Adventure: The Lost Ships of Smargaid! You can get it right now by backing BEARD! The Card Game on Kickstarter. This Pulp! adventure was written by BEARDS!’s co-designer Daniel Curran. Heroes will investigate the isles of Smargaid and Rubin, discover the missing shipments of jewels, and journey below to battle what lurks beneath. Just like Estia and Scentia, it contains background information, hooks, an adventure and a bonus bestiary. If you’re not familiar with the Pulp! System you can pick up the core rules for Pay What You Want from DriveTHruRPG. With less than a day and half left we wanted to remind you exactly what your getting for your money. BEARD! is the very first card game from Beer Star Games. It plays 2-6 players, in about 10 to 30 minutes. Its a very silly fun time! It’s been written, playtested and edited. This game is being released wether the Kickstarter is succesful or not. However, the Kickstarter allows us to print the game in a store quality custom tuck box, and brings the magnficent Daniel Solis to do the final layout.